Long-term commitments characterize the life of Dr. Bruce Bare. Not only has he given 49 years of service to the Westmont board, but he spent his entire professional career with New England Mutual Life Insurance, as his father did before him. After moving to Los Angeles in 1938 to join the insurance agency there, Dr. Bare met several Westmont board members, including the chair, Dr. Roy Laurin, at Lake Avenue Congregational Church in Pasadena. In 1947 he accepted Dr. Laurin’s invitation to join the board. 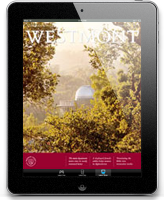 As a board member, Dr. Bare developed a deep friendship and close working relationship with Ruth Kerr, Westmont’s principal founder. “She was one of the finest ladies I have ever known,” he asserts. “We didn’t always agree, but we always got things done. A graduate of Grinnell College in Iowa, Dr. Bare entered the insurance business in 1935. After becoming a Chartered Life Underwriter in 1938, he joined the New England Mutual Life agency in Los Angeles. He advanced to partner in 1946 and to sole general agent in 1953. Under his leadership, the firm became one of the largest insurance agencies in the nation and won numerous awards. He received an honorary doctorate from Westmont in 1971. He and his wife, Adaline, have three children: Bruce, Jr. (Bud); Barbara Spaulding ’63, a Westmont alumna who served as director of alumni and parent relations; and John, a member of the Westmont Parents Council with his wife, Linda. 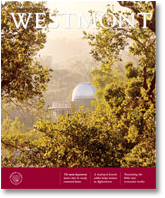 Two of the Bares’ grandchildren have also attended Westmont.